Invites you to two seminars by Gavin Williams, Fellow in Politics and Sociology, St Peter’s College, University of Oxford. Time: 5 - 7 p. m.
Time: 11 am to 1 p.m.
Gavin Williams is a Fellow in Politics and Sociology at St Peter’s College at the University of Oxford. He has worked extensively on the empirical study of politics and society, on political and social theory and in the impact of ideas, good and bad, on social and political action. Born in South Africa, Gavin graduated from Stellenbosch in Law and Political Philosophy, before moving to the UK where he further studied politics before lecturing in sociology and social anthropology at the Universities of Durham and Sussex. He took up his present position in Oxford in 1975. Gavin began his research career here in Nigeria, at NISER in 1970-71. He has published on politics, political economy and land and agricultural policies in Africa, particularly Nigeria and South Africa, and is currently studying the history of the wine industry in South Africa. He has supervised over 40 doctoral theses in Oxford, many of them on Nigeria. Nigerian academia remembers him for his significant 1980 publication on State and Society in Nigeria. 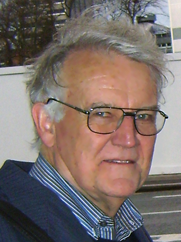 Gavin was founding editor of the Review of African Political Economy (1974-2000) and remains a Contributing Editor. Rural Development in Tropical Africa (with J Heyer & P Roberts) Macmillan 1981. Beckman. Centre for Research and Documentation, Kano, 2004. The Origins of the Nigerian Civil War, Open University Case Study, 1983. ‘Why is there no agrarian capitalism in Nigeria?’ Journal of Historical Sociology, 1, 4, 1988. ‘Power, politics and democracy in Nigeria’ (with Shehu Othman) in J. Hyslop, ed., African Democracy in the Era of Globalisation, Witwatersrand University Press. ‘Political economies, democratic citizenship and African studies, Review Of African Political Economy, 102, 2004. 2009 ‘Free and unfree labour in the Cape wine industry, 1838-1888′ in J. Heyer and B. Harriss-White, eds The Political Economy of Development: Africa and South Asia, Routledge, 2009. V. M. Hewitt, Political Mobilisation and Democracy in India: States of Emergency. Routledge, 2008. A. Adebajo & A.R. Mustapha, ed., Gulliver's Troubles: Nigeria's Policy after the Cold War, University of KwaZiulku-Natal Press, 2008 (with Anthony Kirk-Greene). A. R. Mustapha & Lindsay Whitfield, eds, Turning Points in African Democracy, James Currey, 2009.